OK... This book was absolutely ah-mah-zing! 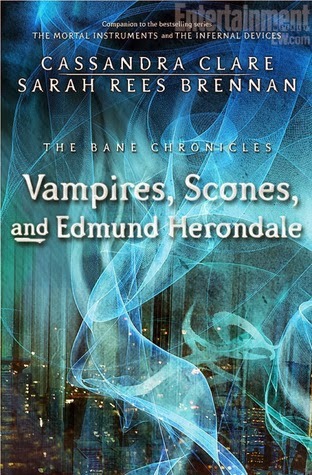 :P Hahaha.. Anyways, I love the Herondales (obviously). But this was so cool! It explained about Woolsey Scott, Camille Belcourt, Charlotte Fairchild, Will's family, and so much more! It's truly amazing! While reading in class I would just look up with this stunned face and turn to my friend who is also a fan of Cassandra's work and like get all excited. But since she didn't read this yet I couldn't freak over what exactly happened with her. Honestly, I didn't expect this book to be so amazing, but it was. There isn't much to say (since it's so short - it's a novella) other than the fact that I loved it. You've done it again Cassandra, produced another fabulous book. What makes this book different from all others? And why should anyone care? All of Cassandra's books are different. But this is like a back story to the Infernal Devices so if you've read that (or any of Cassandra's books for that matter) you should care. Did this book meet my high expectations? Definitely!